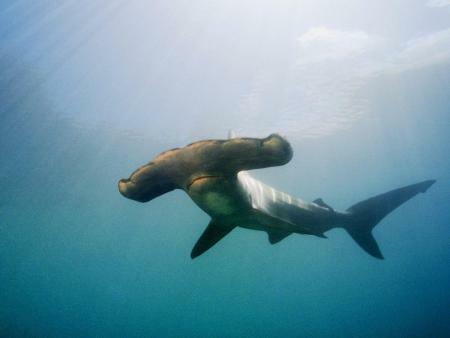 The Galapagos Marine Reserve (GMR) is one of the largest Marine Protected Areas (MPA) in the world. Since 1998, WildAid has been working with the Galapagos National Park Service (GNPS) in developing a comprehensive enforcement strategy to patrol and protect the GMR, where commercial fishing is prohibited. With Discovery’s uber-successful stunt, Shark Week, coming to a close, shark awareness is at a record high. Even Taylor Swift was watching. Shark finning is the cruel practice of capturing sharks at sea, hauling them on deck, and slicing off their fins, usually while the sharks are still alive. Because shark meat is not as valuable as the fins, the maimed animals are tossed overboard to drown or bleed to death. Every year, up to 73 million sharks are slaughtered, primarily fueled by the global demand for shark fin soup. Shark fin soup has long been a popular entrée due to its association with prestige and privilege in Asian cultures, regularly served at banquets, weddings, and corporate events. As a result of China’s expanding economy and rising affluence, an increasing number of people can now afford the soup, priced at up to 100 USD a bowl, and demand has risen dramatically. Though shark fin soup represents status in Asian cultures, the fin itself adds no flavor, nutritional, nor medicinal value. The International Union for the Conservation of Nature (IUCN) has concluded that up to 1/3 of shark species are now threatened with extinction, with some populations showing a 99% decline. As an apex predator, sharks play a vital role in the marine food web. Research shows that the massive depletion of sharks has cascading effects throughout the oceans’ ecosystems. 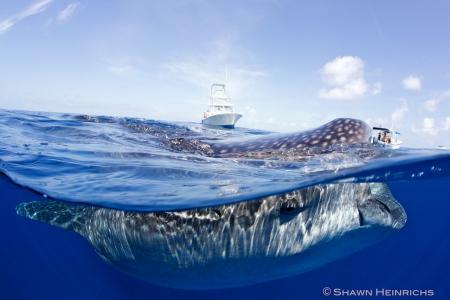 Complicating matters, sharks are particularly vulnerable to overfishing because they are slow to reach reproductive maturity and produce very few offspring. Studies have also shown that the consumption of shark fin products poses a serious threat to human health. Shark fins contain an extremely high concentration of mercury and other toxic substances, which cannot be destroyed in the cooking process. Some of the dangers of mercury to human health include fetal damage, infertility, increased risk of heart disease, and neurological disorders. Though this image was not doctored in any way, everyone on the boat is safe and sound. This photo was taken on a recent trip to Mexico, where WildAid's Executive Director, Peter Knights, and a handful of supporters including Sir Richard Branson, swam with hundreds of whale sharks.